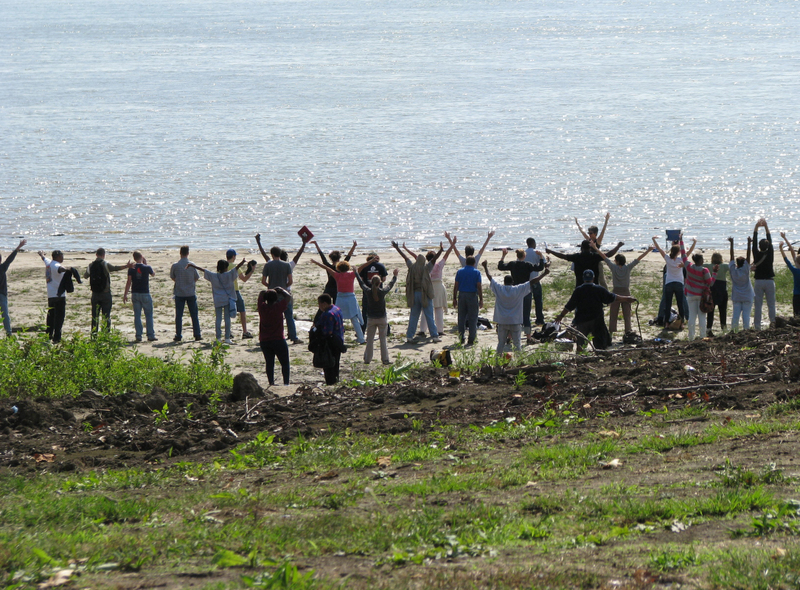 Workshop participants greeting the River. Site visit with Rick Kacenski, Jackie Brookner, community members and students. 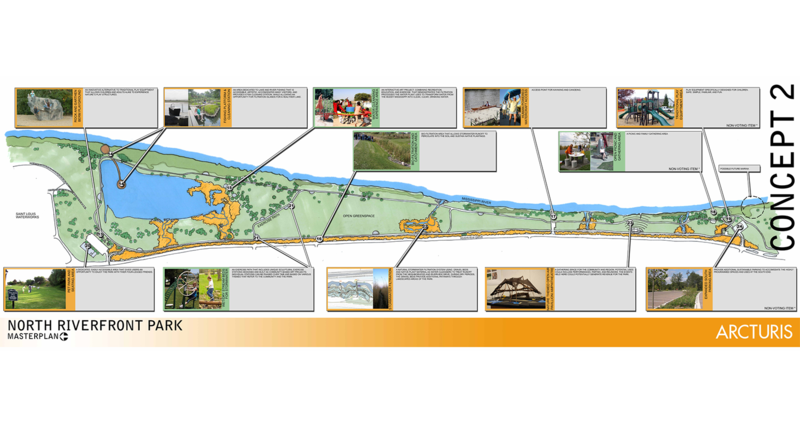 The North Riverfront Park Masterplan from Arcturis, incorporating our project ideas. http://jackiebrookner.com/wp-content/uploads/2013/03/1.-NRF-greeting-the-river-678x500.jpg678500Workshop participants greeting the River. http://jackiebrookner.com/wp-content/uploads/2013/03/3.-NRP-visit-675x500.jpg675500Site visit with Rick Kacenski, Jackie Brookner, community members and students. http://jackiebrookner.com/wp-content/uploads/2013/03/5.-N-R-P-CONCEPT-23-830x442.png830442The North Riverfront Park Masterplan from Arcturis, incorporating our project ideas. 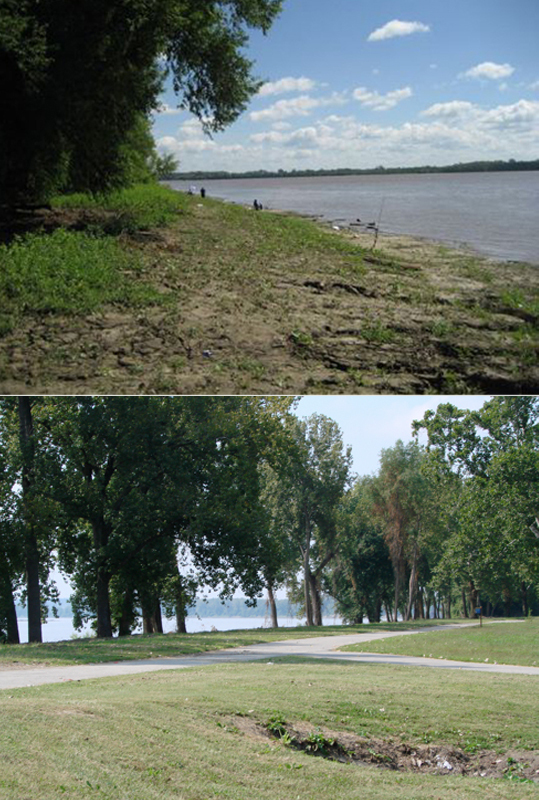 North Riverfront Park was a community-based, landscape-scale project intended to enrich the experience of community residents and visitors to the Mississippi River and positively affect the watershed by remediating the massive volumes of stormwater runoff that flow through the site before it goes into the River. This project was designed to activate creative agency through a deep community process, wherethe concept, design and entire process of bringing the project to fruition were to come from the collective decision making of a diverse community of participants and stakeholders. I conceived the project, and co-led it with landscape architect Rick Kacenski from HOK. There were several reasons the 250-acre North Riverfront Park was chosen as the site. First is its superb location. The park sits on the bank of the Mississippi and provides direct access to the river. The municipal water treatment plant that provides the city’s drinking water is at the north end of the park. In addition the City of St. Louis Parks Department was embarking on a master planning process for the Park and the neighboring community was actively concerned with how the site would be used. 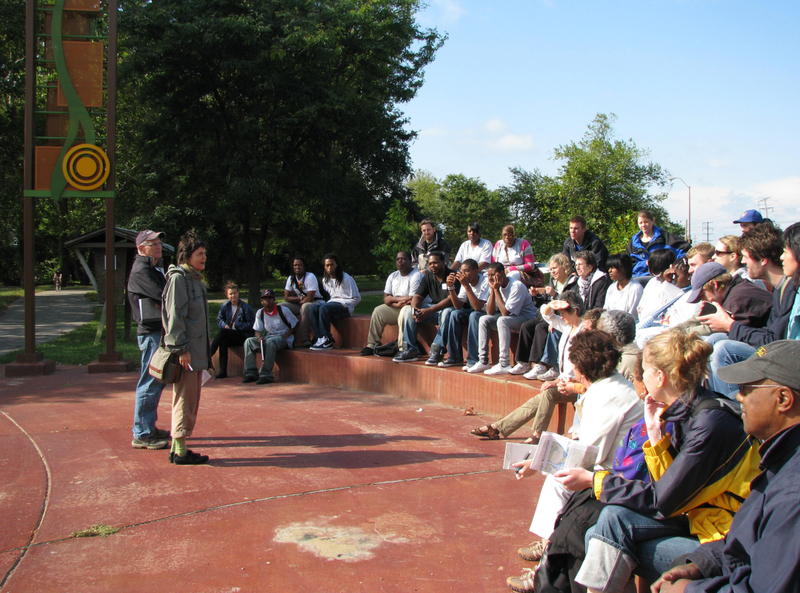 The process began with a public design workshop at North Riverfront Park. 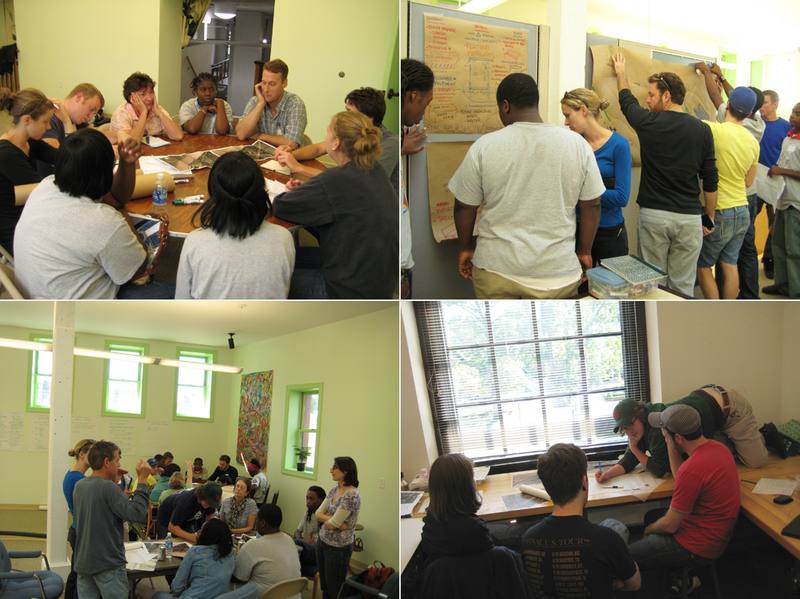 Over the next two months we worked with neighborhood residents, graduate students from Washington University, high school student apprentices with St. Louis ArtWorks, technical advisors and other interested citizens to develop a conceptual plan. The graduate students and Artworks apprentices presented their proposals and received ongoing review and critique for their developing ideas from the residents and stakeholders at additional public meetings. The ideas generated through this collaboration were shared with the master planners and fully incorporated into the official city master plan for the park. Fruition of the project awaits funding. The project was a collaboration between The Confluence Partnership, Washington University’s Sam Fox School of Design and Visual Arts, and St. Louis ArtWorks.